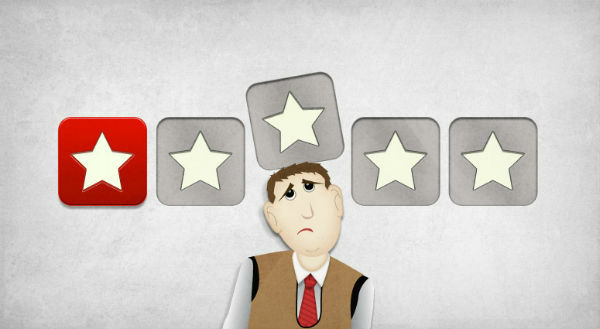 I try not to read Yelp reviews. When you work in a restaurant, though, it’s hard to fight the sadistic urge to read ones about you. It tickles when someone praises you, but, unfortunately, a majority of them have nothing nice to say. No matter how many reviews I read that involve me, their version of the events never quite match up with mine. Call it fake news. I recently received a negative review by a table of two quiet men who dined in my restaurant on the early side. They ordered modestly and were cheerful but not particularly interactive. If anything they seemed a little standoffish—more into themselves than their drinks or food. They ordered a handful of small plates and nursed the cocktails I’d recommended. I checked back on every course to make sure they enjoyed it. They said they might order more. They didn’t. I noticed they left abruptly after paying the check and was a little surprised at their ten percent tip. I hadn’t gotten a vibe that they were unhappy. They did a masterful job concealing it. I went on with my evening blissfully assuming they may not have been versed on the local customs. This was until I read one of the man’s scathing commentary on Yelp a few days later. “I never post reviews but I feel obligated on this one,” he began dramatically to draw the reader in. You could immediately feel the gravitas of the situation—he owed it to the general public to comment on his bad experience. Everything was fine, he said—the room, the bartender, the food—except the only thing he could not abide was the cold waiter (me). He mentions the restaurant’s Michelin star twice in three paragraphs, as though he and his partner had journeyed to asses our star-worthiness. He laments about having difficulty getting my attention—apparently I kept walking away when my services were needed. I don’t recall avoiding them. He insists I thwarted his repeated attempts to build a rapport between us. I didn’t think our rapport was lacking. Instead, according to his account, I was more interested in “the pretty girls in the corner having drinks.” One of those pretty girls happened to be a member of my family, my aunt, who came by to say hello with a friend. Of course, a visit from a friend doesn’t excuse negligent service but why make the petty assumption that I’m being flirty? Anyone who would so blatantly misconstrue my body language with my aunt as flirtatious might just as easily misread my attitude toward his table as being dispassionate. Really? Could my service really have been that bad? I promise you it wasn’t. It’s possible that my service didn’t live up to his unrealistic expectations. It’s possible I may have lingered too long visiting with my aunt but it’s not unusual for waiters to have extended conversations with other guests in Michelin-starred restaurants. We always have a roomful of people who want attention not just your table. If something was so dramatically amiss, why did they chose to keep it to themselves? If I knew they felt neglected (instead of assuming they preferred to be left alone), it would’ve given me the opportunity to make amends. I will never see this guy again and he will definitely never see me. But he could have cost me my job or at least my reputation—both of which I deserve to keep. I’m good at my job and I’m amazed at how easy it is for people to say with certainty that I’m not based on one disappointing experience. I presume this is part of the sick pleasure some people get in Yelping. Sadly, the shadowy world of online reviewing can be very influential to a restaurant’s success or failure. Star ratings matter and the two star shitburger this guy left on our front door isn’t helping ours any. It comes down to this—his account of what happened that night is inaccurate and, unimpeded, it should not be admitted as evidence that might deter other people from patronizing my restaurant. Crowdsourcing can be a useful discovery tool. I find new restaurants all the time in unfamiliar neighborhoods by searching Yelp or other online and app-based resources. But if you drill down, the vitriol you find under the surface obscures the accuracy of the ratings. What I’ve learned doing restaurant work is that often bad restaurant experiences happen because of a table’s own issues. The root of their malcontentedness has nothing to do with me—they’re difficult to please, went in with unrealistic expectations, didn’t feel comfortable spending so much money or simply didn’t enjoy their company. None of these issues have anything to do with food or service but, also, none of them will ever appear in a Yelp review.